4253 Davidson Road, Hilliard, OH, 43026 - Photos, Videos & More! 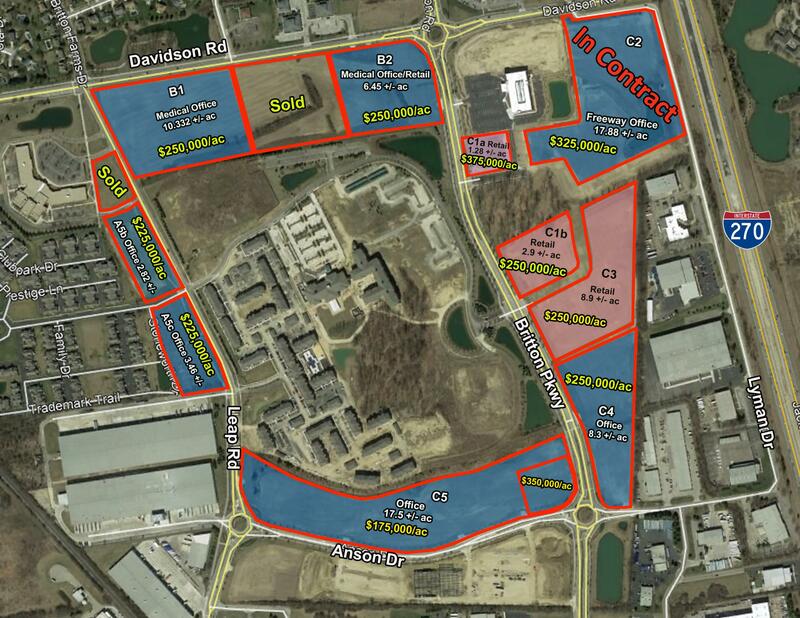 Multiple usage potential for development, Office, Medical, and Retail Land located at the southwest corner of I-270 and Davidson Road. Land is available along Davidson Road, Leap Road, and Britton Parkway.Prices are $175,000- $375,000 per acre depending on location. Lots from 1.28 +/- Acres to 17.88 +/ Acres. 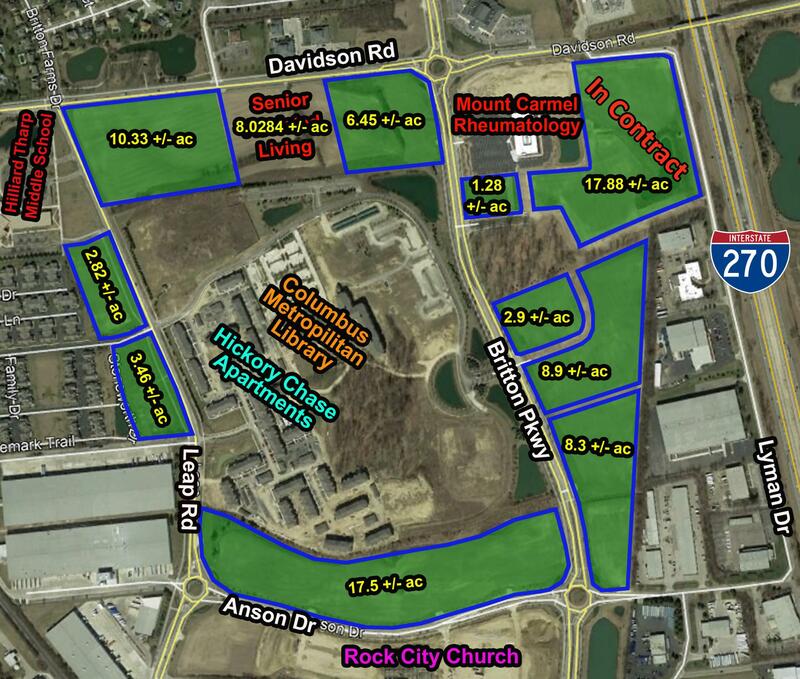 Great development opportunity a total of 81.09 +/- Acres. 1.27+/- ac (A5a) is currently in contract.